Today, вЂњscarletвЂќ describes a color, but it was originally a type of cloth. Henry VI's wardrobe accounts from 1438 to 1489 show that his cheapest scarlet was ВЈ14.2s.6d. and that scarlets could fetch up to twice that price. In the fifteenth century, a mid-priced scarlet cost more than two thousand kilos of cheese or one thousand liters of wine. This expense accounts for the custom of giving important visitors the "red carpet treatment." 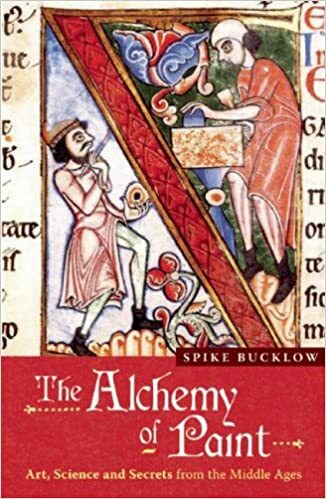 The book looks at how color was вЂњreadвЂќ in the Middle Ages and returns to materials to look at the hidden meaning of the artists' version of the philosopher's stone. The penultimate chapter considers why everyone has always loved gold. Spike Bucklow is a conservation scientist working with oil paintings at the Hamilton Kerr Institute in Cambridge.